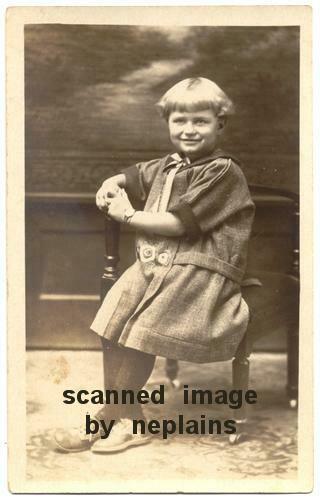 Little girl wearing a drop-waist dress and saddle shoes or saddle oxfords (? ), while sitting on a corner chair. Location is unknown; photo was found with other items from southeast Nebraska and northeast Kansas.